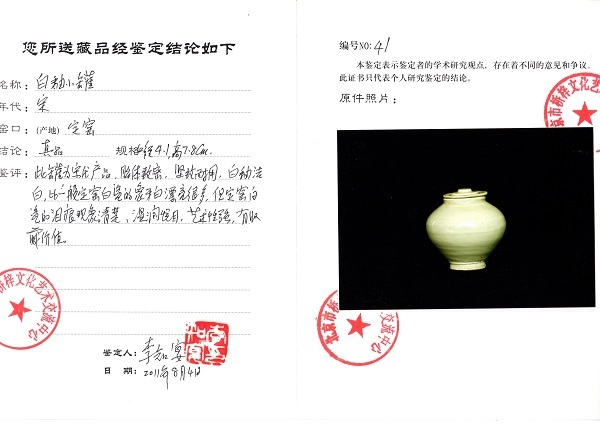 Appraisal: This object was made in the Song Dynasty. Its clay body texture is very dense, sturdy and durable. 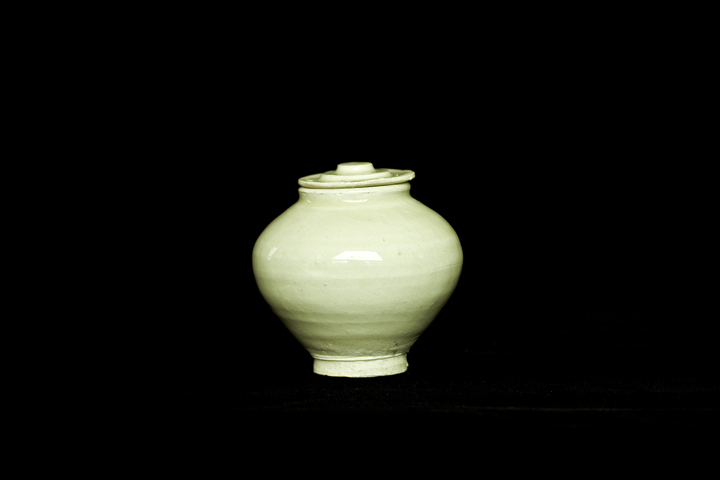 The glaze color is pure white; therefore it is considered to be more beautiful than the common Ding wares, which are ivory colored porcelains. 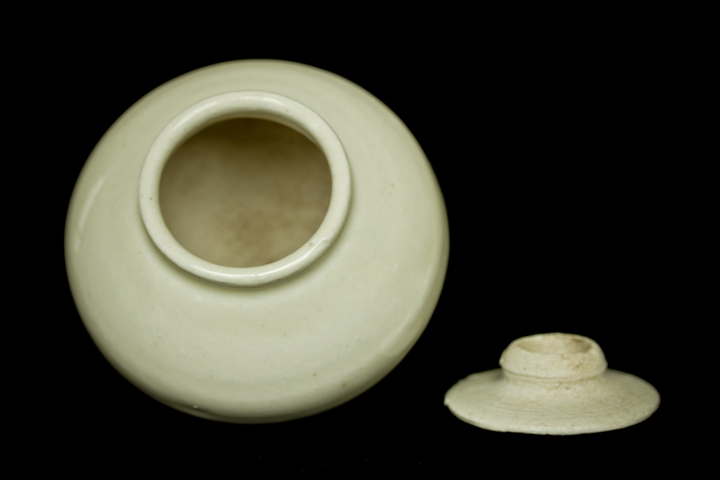 The tear-stain phenomenon appears on the white porcelains of the Ding ware, and is very obvious. 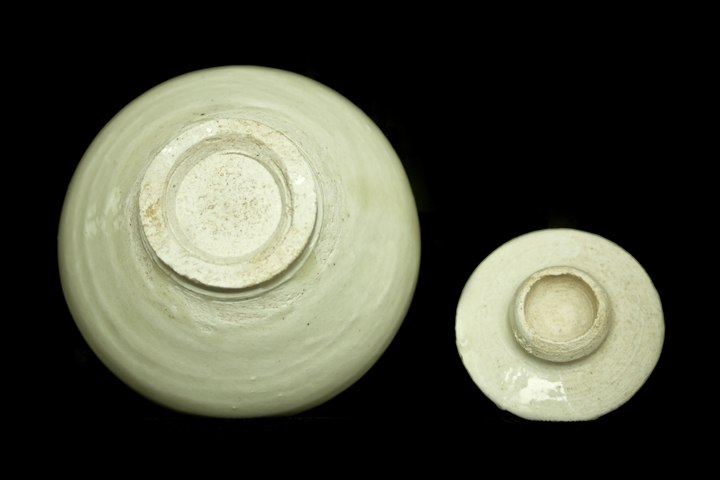 This object is glossy, eye-pleasing, and rich in high artistic value. Highly collectible.